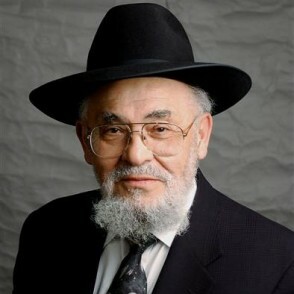 Rabbi Dr. Moshe Tendler is the Rabbi Isaac and Bella Tendler Professor of Jewish Medical Ethics and a professor of biology, as well as a rosh yeshiva in the Rabbi Isaac Elchanan Theological Seminary of Yeshiva University. Rabbi Tendler is the leading expert on medical ethics as it pertains to Jewish law. He is the author of “Practical Medical Halakhah,” a textbook of Jewish responsa to medical issues, and “Pardes Rimonim,” a book about the halachot of Taharat HaMishpacha. Rabbi Tendler has been one of the most vocal supporters of Jewish organ donation. He has been a strong advocate for brain death criteria to be adopted as an acceptable definition of death under Jewish law. Rabbi Tender asserts that once organ donation has been deemed permissible under the given conditions, it is indeed mandatory, falling under the rubric of the legal obligation of Jews to preserve the lives of others. He has written extensively on euthanasia, infertility, end of life issues, organ donation and brit milah. Rabbi Tendler is spiritual leader of the Community Synagogue in Monsey, N.Y., and chairs the bioethical commission of the Rabbinical Council of America and the Medical Ethics Task Force of UJA-Federation of Greater New York. Rabbi Tendler is a strong supporter of Israel and Zionism and ascends the Temple Mount in Jerusalem every time he’s in Israel. Alternative Medicine: Medically Disputed, Halachically Refuted?